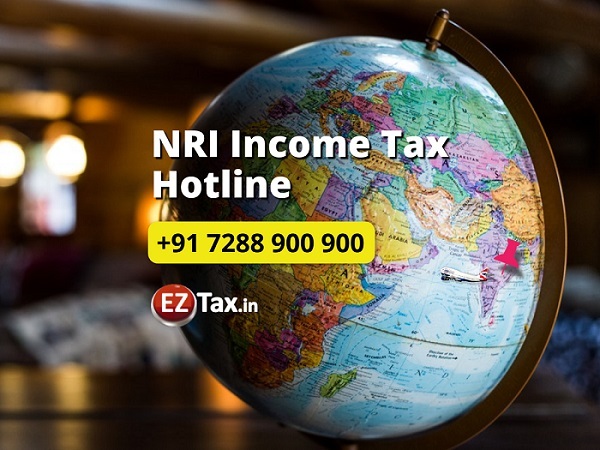 Hyderabad, India: EZTax.in, announced today, that the company has launched its NRI Income Tax Hotline service to help growing Non-Resident India (NRI) population who are working abroad, and foreigners who are working in India. Through this hotline service, the company is expected to get close to NRIs and help them in achieving tax planning, saving, and overall tax compliance in India, in addition to filing their taxes. The study says NRI Tax Compliance growth is not in pace with the IT Filing growth that India saw for the past two years, it's mainly due to lack of understanding in changes to tax act in India. Suneel Dasari, CEO @ EZTax.in, said, "We are helping both resident Indians, and NRIs in income tax filing for last two years, a growing segment of our business. But it’s vital to have a year-round tax compliance for NRIs as the Tax year differ in abroad, and the clients are increasingly diversifying their portfolios beyond traditional real-estate in to businesses, and currencies. NRI Income Tax Hotline is a natural extension to serve this population on their concerns." How to use the Hotline Service? NRIs who are in abroad or visiting India this festive season can contact our helpline number @ +91 7288 900 900 or WhatsApp their query to get help. Any questions or concern on Tax exposure related to, Double Taxation Avoidance Agreement (DTAA), Tax Residency Certificate (TRC), NRE, NRO, FCNR, sale of Property by NRI, foreign tax credit, Overseas citizen of India (OCI), Person of Indian Origin (PIO), ESOPs, RSUs, foreign assets under FEMA, Seafarers, Foreigners working, living in India. NRI Expert help is available thru Hotline with its phone or WhatsApp feature @ +91 7288 900 900 from 9:00-7: 30 PM IST. For offline communication, one may use support@eztax.in email ID. The advice is 100% FREE. EZTax.in from MYD Labs Private Limited, is a DIPP approved Startup, an Innovative, Next generation, Fast growing, Cloud enabled Tax Compliance Provider through both Online Tax Software, and Expert Tax Services covering Income Tax, TDS, GST, Accounting, Registrations. EZTax.in aims to make tax compliance easier, quicker, affordable through innovation to help millions of Indian Tax Payers irrespective of their income levels, and/or tax complexity. Today, with its India's 1st AI enabled GST ready Accounting Software, helping Small, Medium Business in India to be GST compliant, efficient, and productive. EZTax.in, announced today, that the company has launched its NRI Income Tax Hotline service to help growing Non-Resident India (NRI) population who are working abroad, and foreigners who are working in India.